National telecom backbone Bharat Sanchar Nigam Limited (BSNL) has activated four new Speed Test Server sites for its broadband (ADSL / VDSL / FTTH / WiMax / 3G) customers in all the four zones. The PSU hosted new speed test server sites to cater the speed test requirements of customers in all the four zones. For East Zone customers, broadband speed test server is hosted at Mumbai (BBNW, NOC), Pune (BBNW, DRDC) for West Zone customers, Bangalore (BBNMW, P3) for South Zone customers and Noida (BBNW) for North Zone customers. "A lot of speed complaints from the BSNL Customers is being received on daily basis, resolution of which is found to be time consuming due to lack of speed test servers of BSNL. 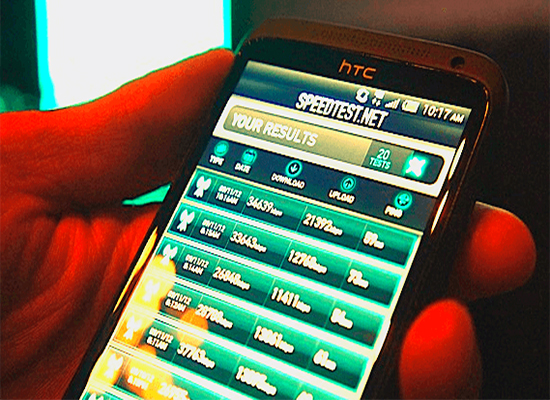 Often it is diagnosed as there is no speed issue at all, but for a speed test result got by customer from anonymous speed test sites. In order to circumvent these issues, BSNL has hosted 4 speed test servers for catering to the speed test requirement of the four zones of the BSNL." - said an official BSNL statement. 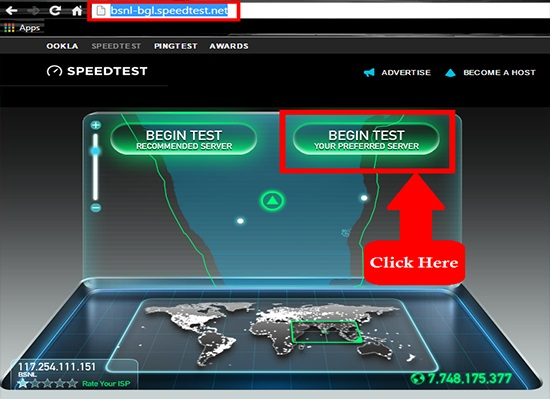 To test the speed of your BSNL Broadband (ADSL / VDSL / FTTH / WiMax / 3G) connection, use the URL of your Zone and click BEGIN TEST YOUR PREFERRED SERVER as shown in the picture below. Dear readers, please share your views and opinions about this new speed test server sites by BSNL. Please do comment your speed test results with this new BSNL Servers. Any other good tools you can suggest other than these for checking bsnl speed?